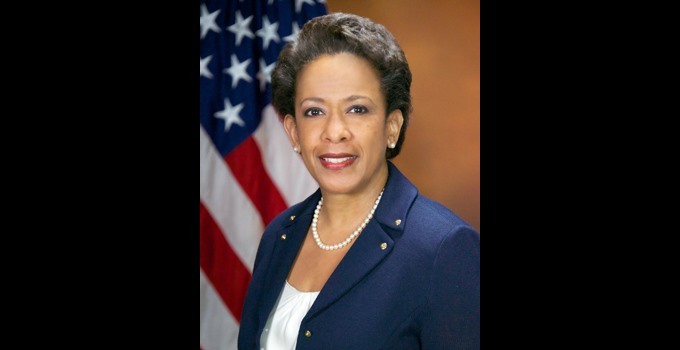 U.S. Attorney General Loretta Lynch has put her foot in her mouth. Here is a video clip from CNN’s coverage of the Attorney General’s speech. 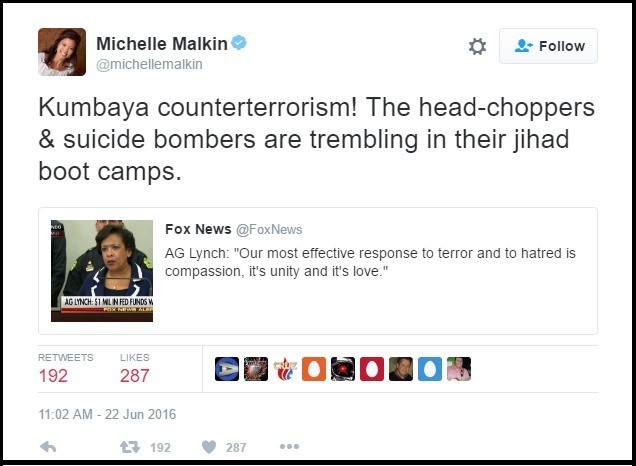 Sure, if we loved terrorists more, then they will stop being so mean. Is the Attorney General really that naïve? Gutfeld is correct. Terrorists will not stop being terrorists if we love them more. Terrorists will stop being terrorists when they are stopped by overwhelming physical force. The Attorney General’s blunder comes on the heels of her initial decision to release an edited version of Omar Mateen’s 911 call in order to delete Mateen’s references to the Islamic State. “The FBI on Monday afternoon released a full transcript of the 911 call Orlando Pulse nightclub shooter Omar Mateen made during his June 12 rampage inside the club, following pressure from news organizations and public officials. The Islamic State, also known as ISIS, or its leader, Abu Bakr al-Baghdadi, were not mentioned in a partial transcript of the call the FBI released Monday morning. The agency said it didn’t want to provide a platform to a terror group. One does not have to be a libertarian, a conservative or a Republican to figure out that the current U.S. Attorney General has made the Obama Administration look like it is soft on terrorism. US Preparing for an Attack on Iran?